Sony's new official licensing program could see a dizzying array of products labeled with logos from the PlayStation line. Sony recently unveiled its new "PlayStation Logo Licensing Program" which will allow businesses to label their products with PlayStation imagery and logos. This appears to be an expansion of a similar deal from last year that was only with a single entity. Now, anybody and everybody is free to enter into a licensing agreement with Sony to brand their so-called "lifestyle products" with the PlayStation name. This program does not include gaming peripherals. Sony says the deal covers "apparel, accessories, housewares and more." These products can be designed using the logo of any Sony gaming system such as the PlayStation 3 or the PSPgo, or with the apparently trademarked circle, square, x, and triangle controller button marks. 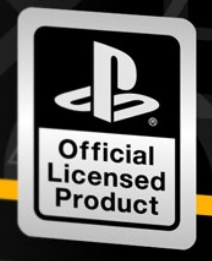 Licensees will be able to put the "Official Licensed Product" logo on their products to signify that it has the full backing of Sony. Okay, so we've got apparel, which means t-shirts, hats, mittens and such. Accessories probably refers to items such as wallets and umbrellas. But housewares? When someone says housewares, I think of pots, pans, kitchen knives, and blenders: the last places you might expect to see the PlayStation 3 controller's buttons or an image of the PSPgo. Could someone out there have a Sony-branded fondue set in the works? I can see it now: "You can only dip your meat in Everything." Get ready for a ton of random stuff out there to be associated with Sony products, if enough companies take Sony up on this new program.